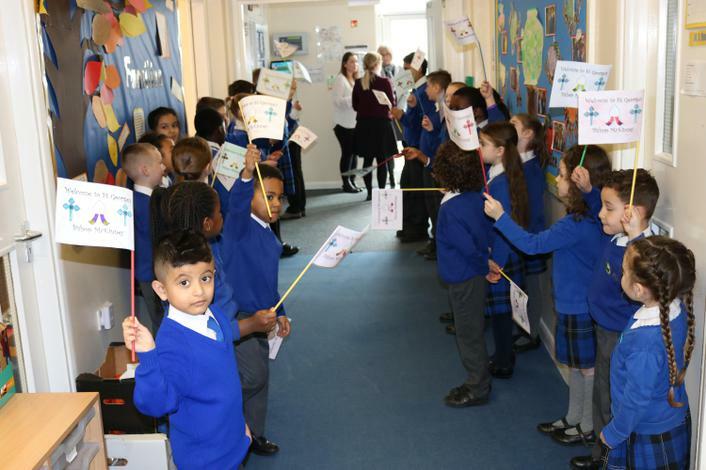 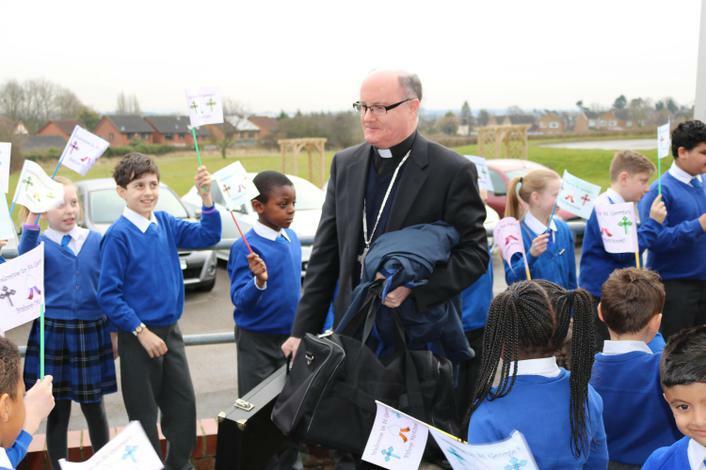 The bunting and flags were out and excitement was buzzing around St George’s as we waited for the arrival of the Bishop of Nottingham - The Right Reverend Patrick Mckinney S.T.L. 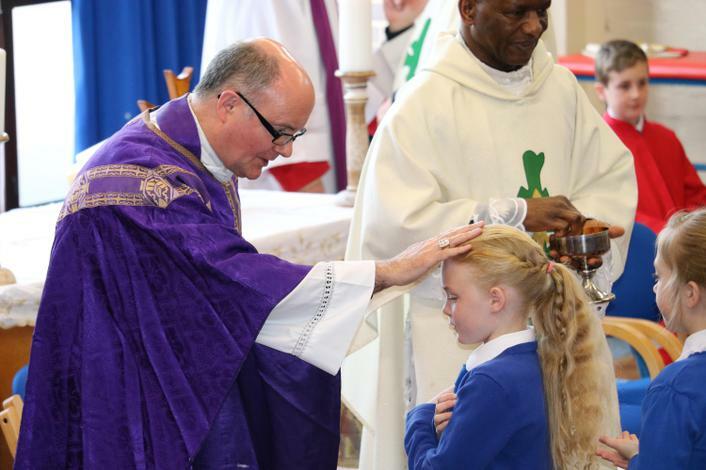 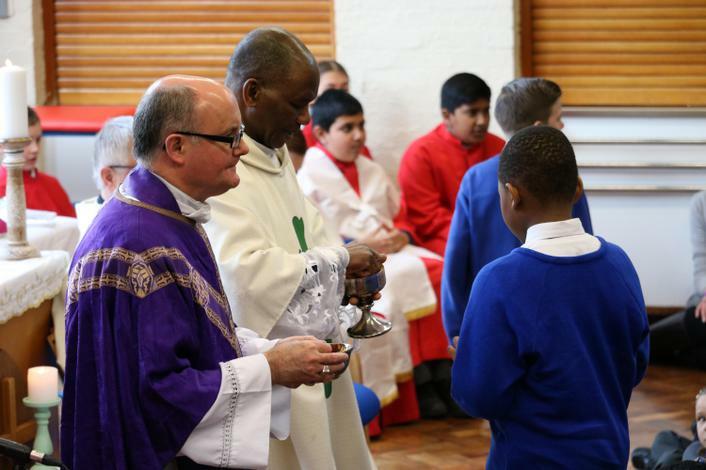 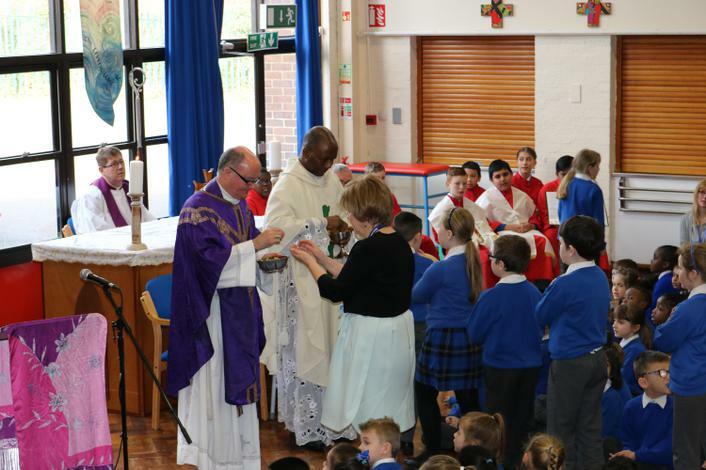 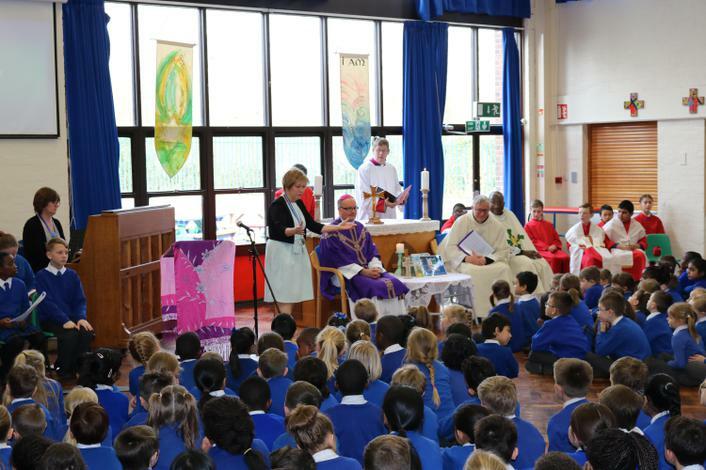 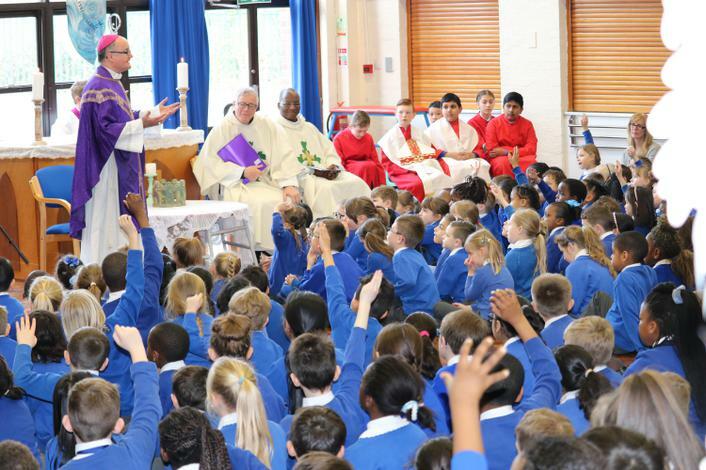 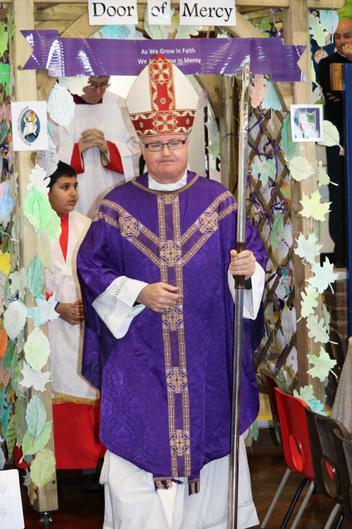 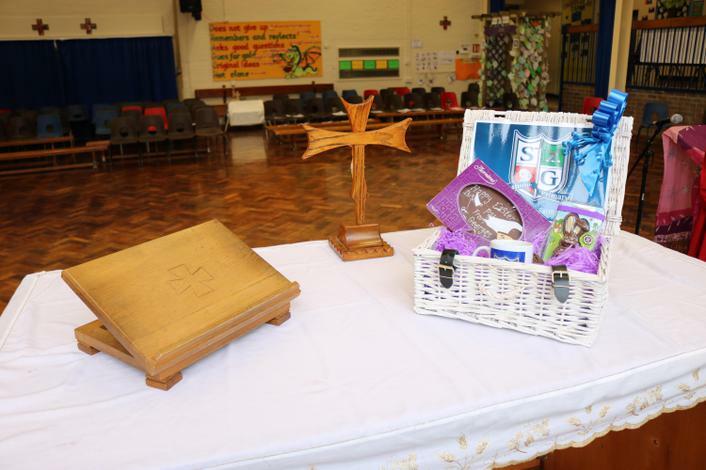 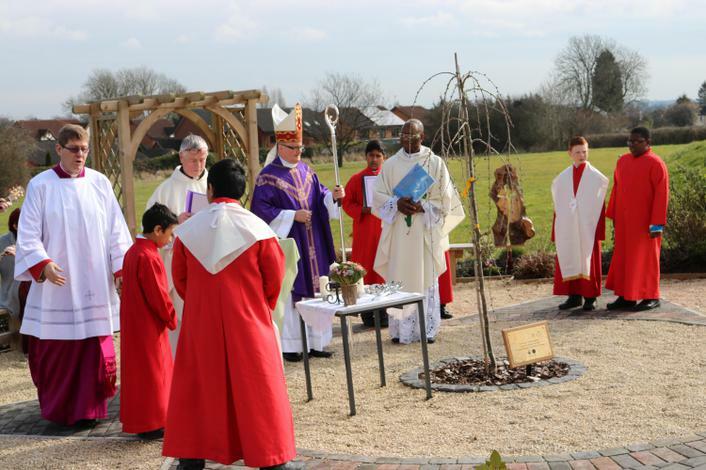 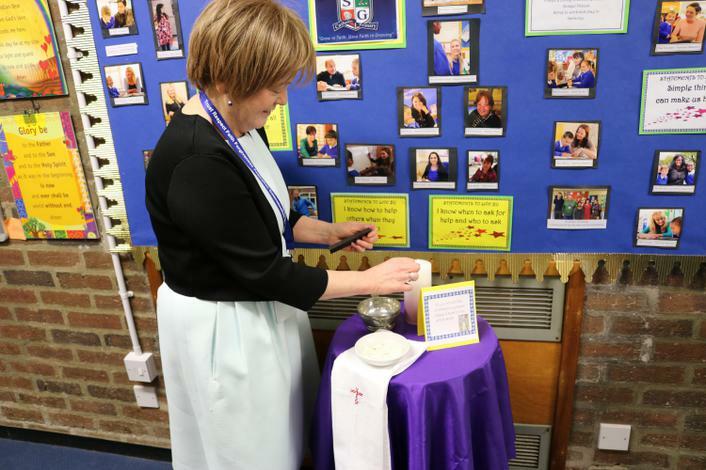 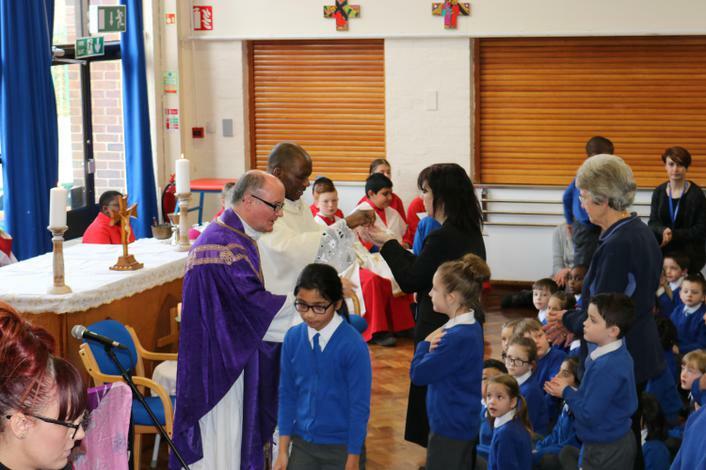 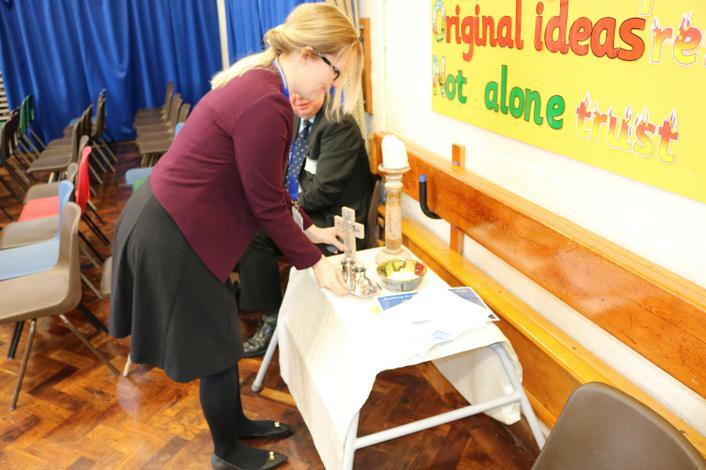 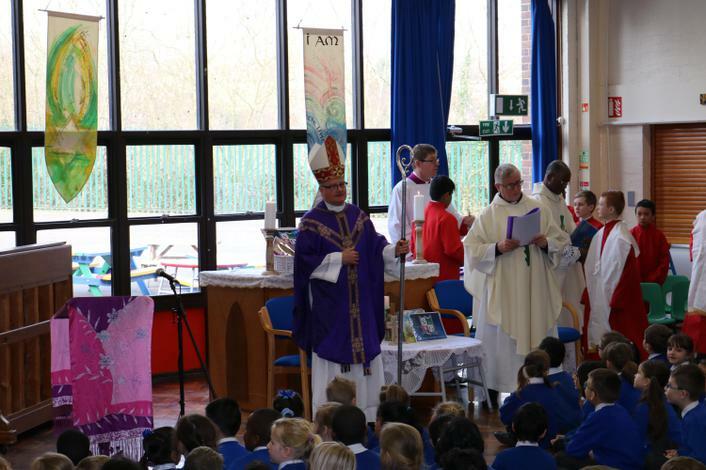 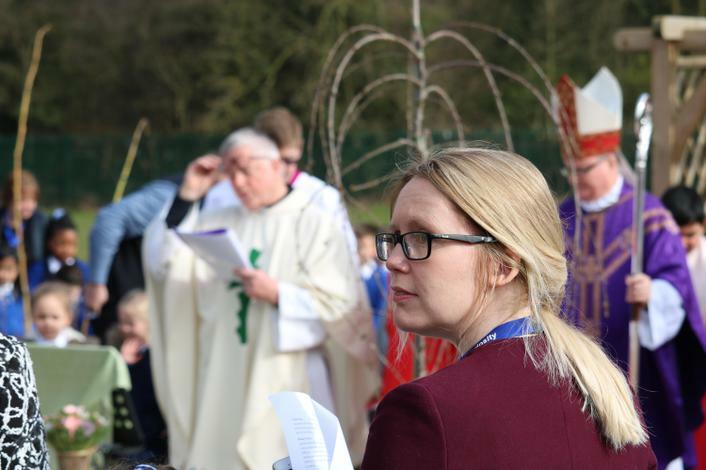 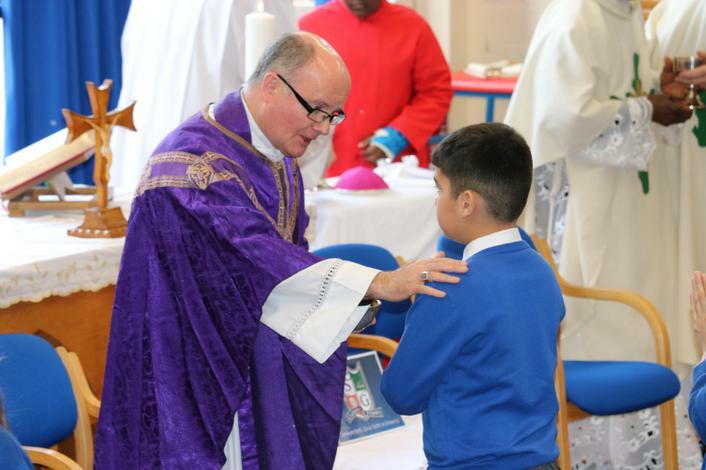 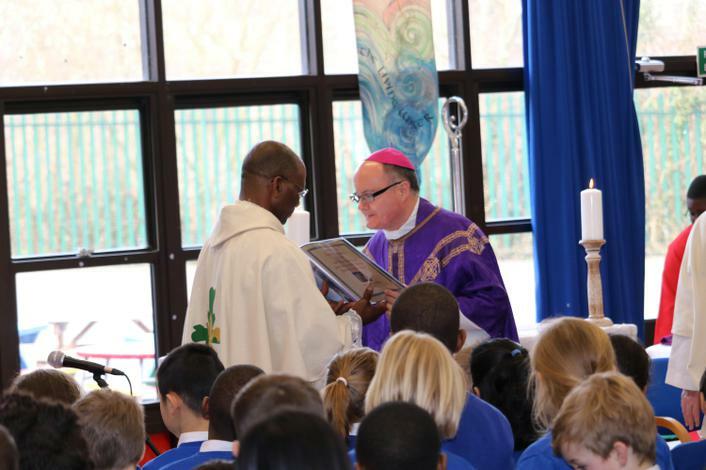 On Tuesday 8th March, Mass was celebrated at St George’s Catholic Academy Derby by the Bishop to bless our memorial garden and new office buildings. 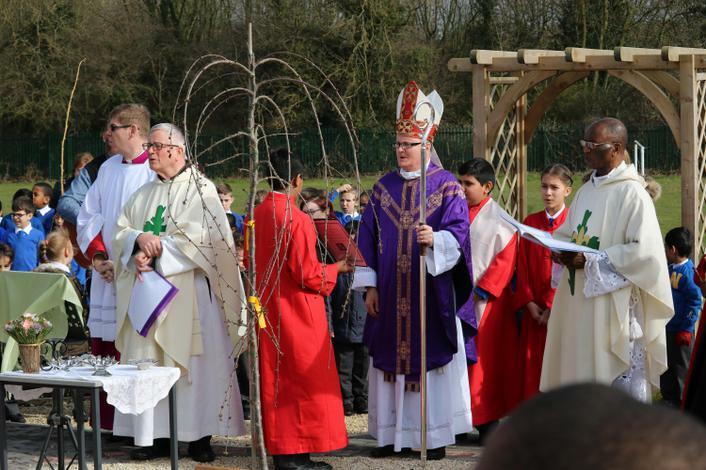 Staff, governors, parents, parishioners and pupils all enjoyed a special mass, con- celebrated with the Bishop by Canon Alan and Fr Jude and we were even able to go out to the garden for the blessing as, although it was a cold March day, the sun shone down at the end of mass as the whole congregation processed out to the garden. 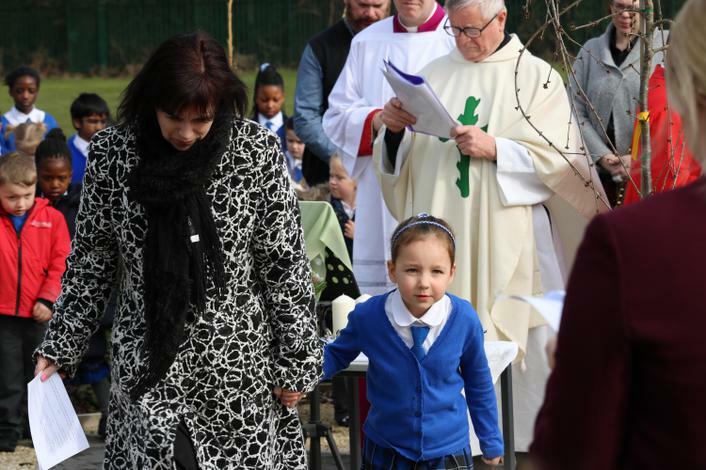 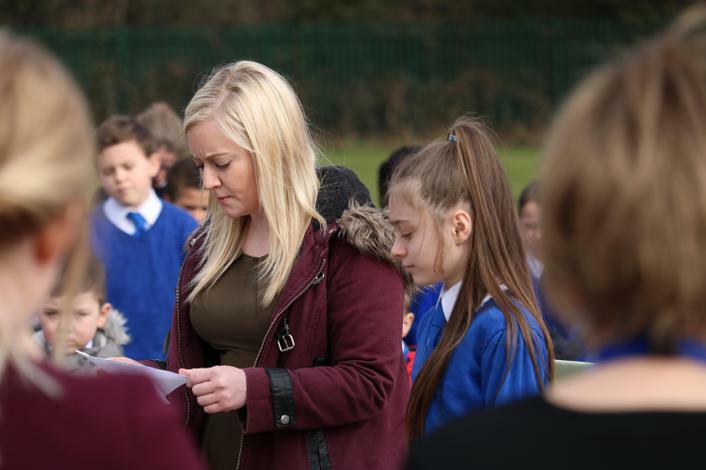 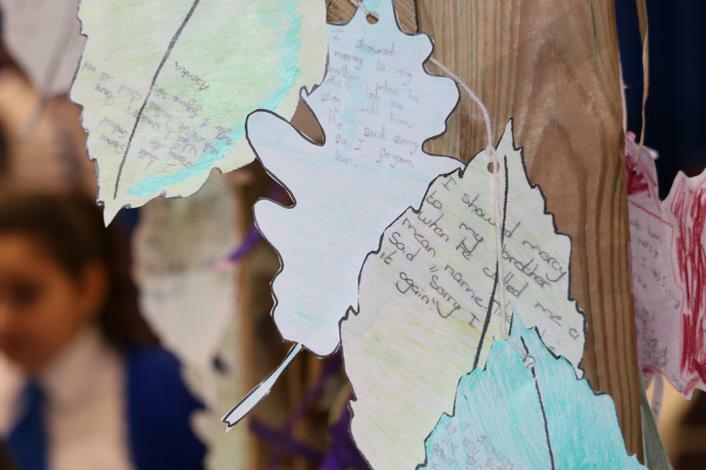 The memorial garden has been created in memory of the six children who tragically died in a house fire. 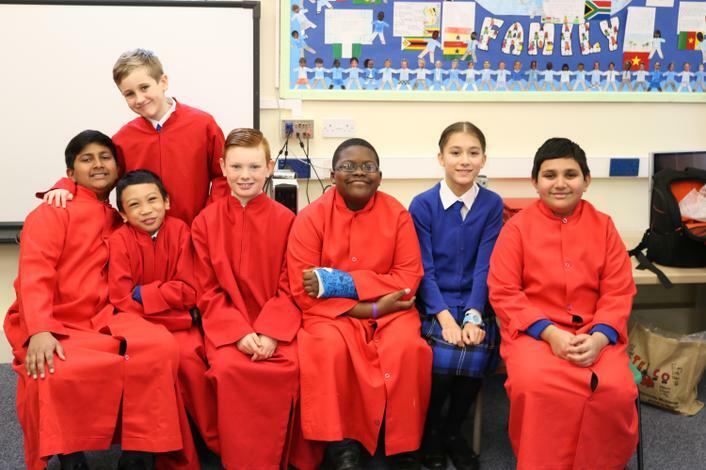 They were all pupils, at St George’s and St Benedict Academies and many of our ex pupils from St. Benedicts who knew the children personally joined us. 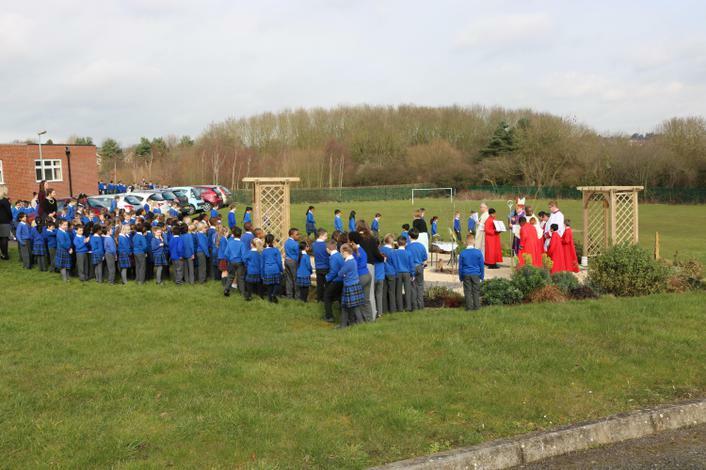 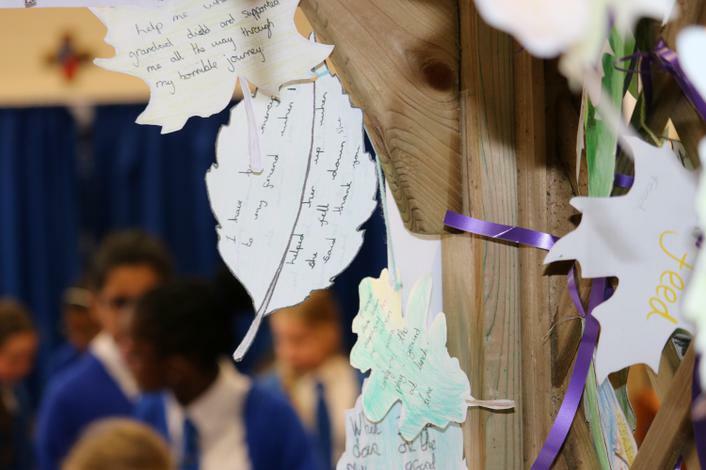 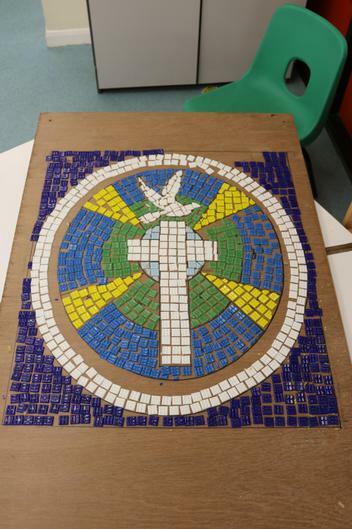 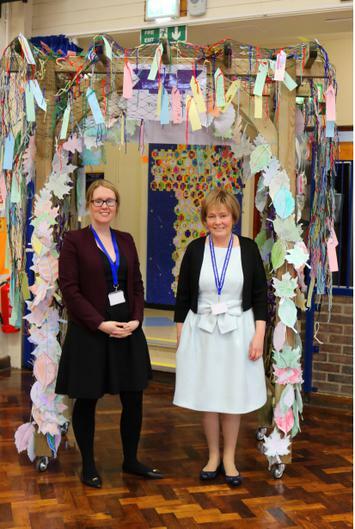 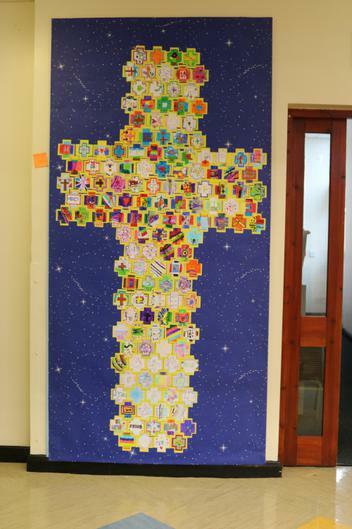 The garden, designed by pupils, was started over three years ago with funding from the Lottery and Toyota and donations from parents, parishioners and the local community. 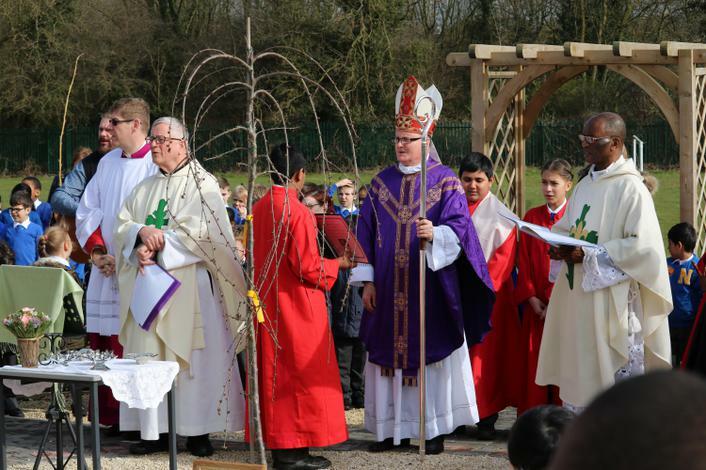 Then Derby Garden centre kindly offered to plant the garden for us. 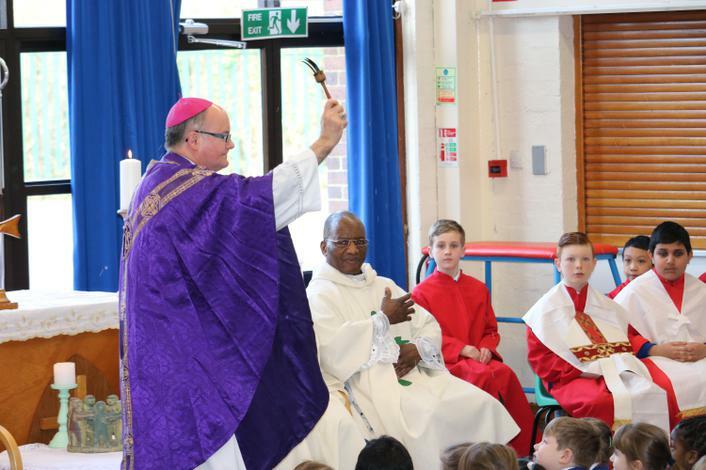 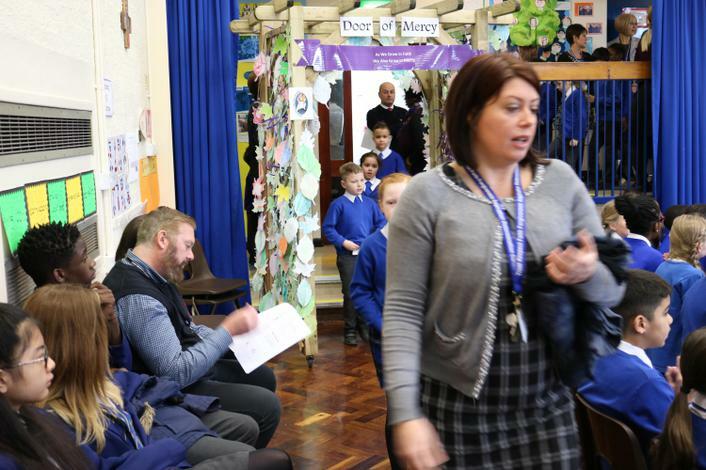 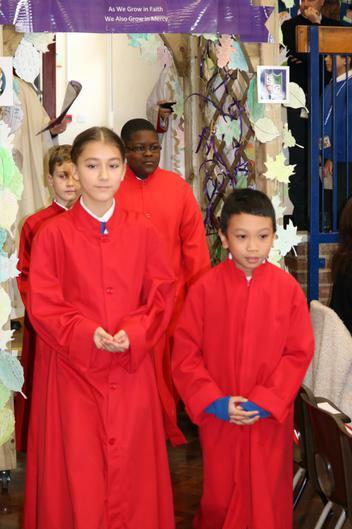 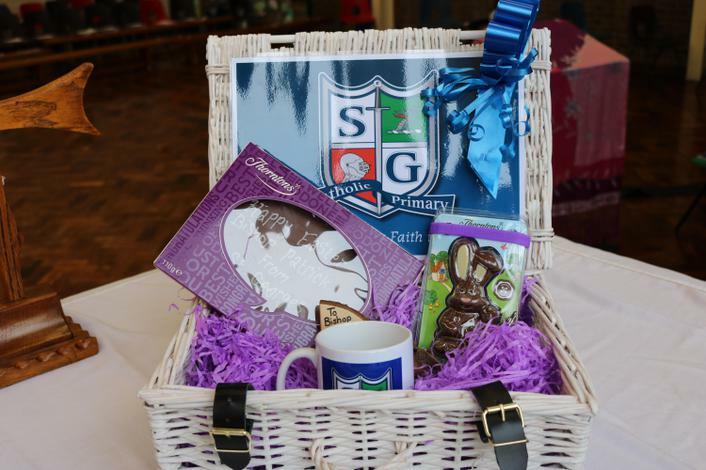 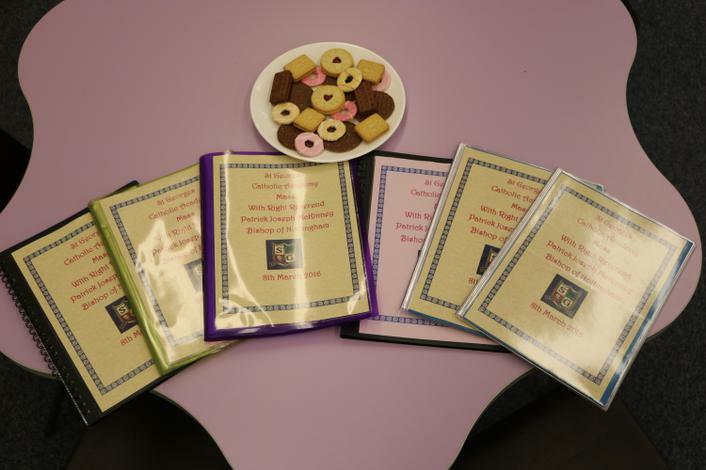 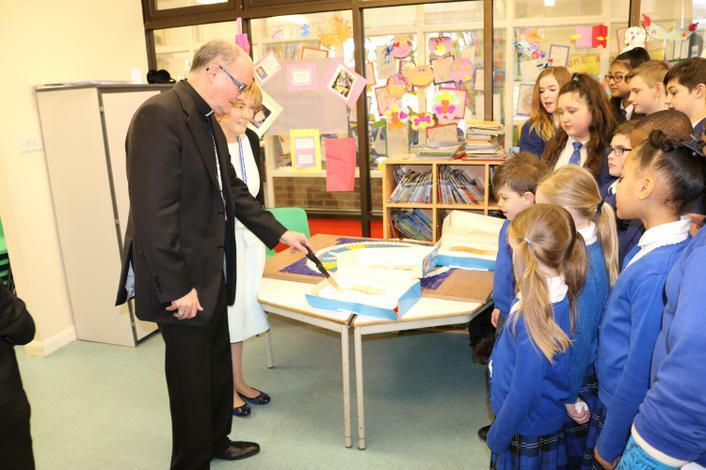 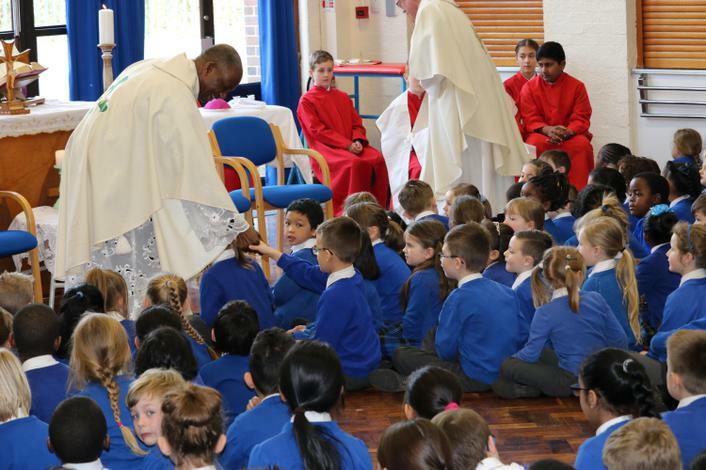 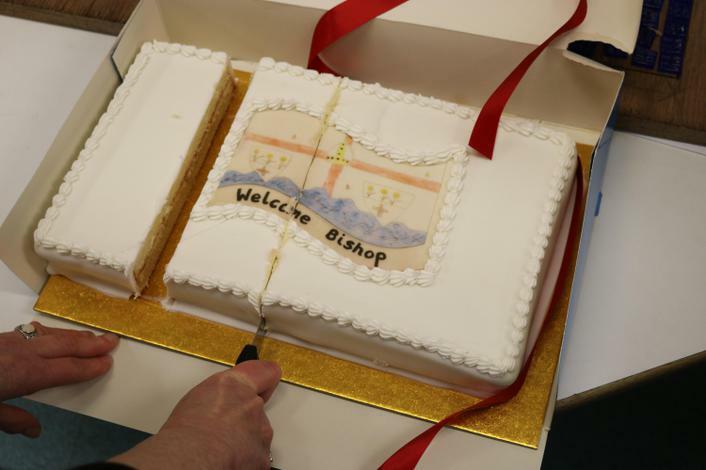 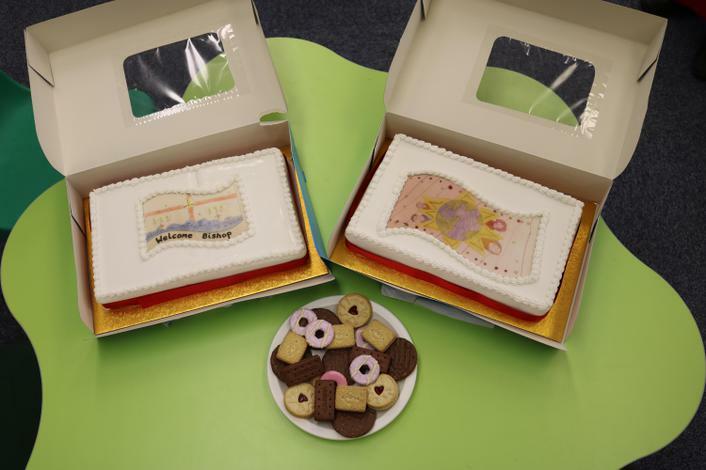 Mass was followed by refreshments and cake with the Bishop and an extra special afternoon was planned for pupils. 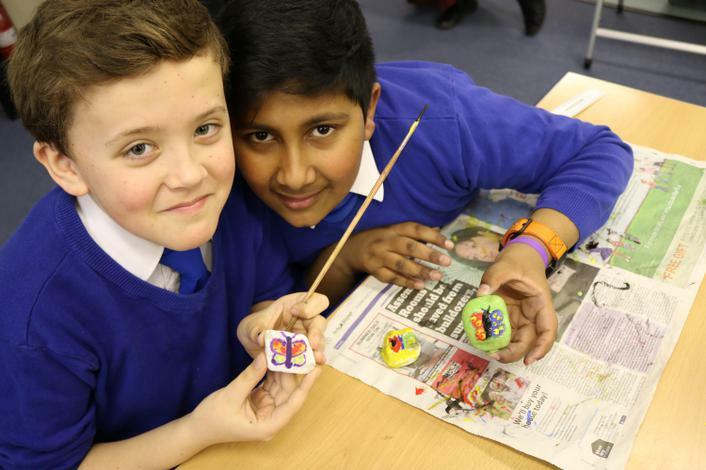 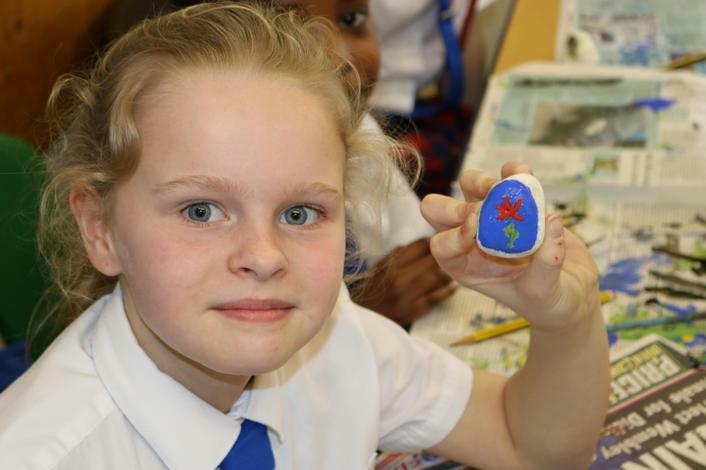 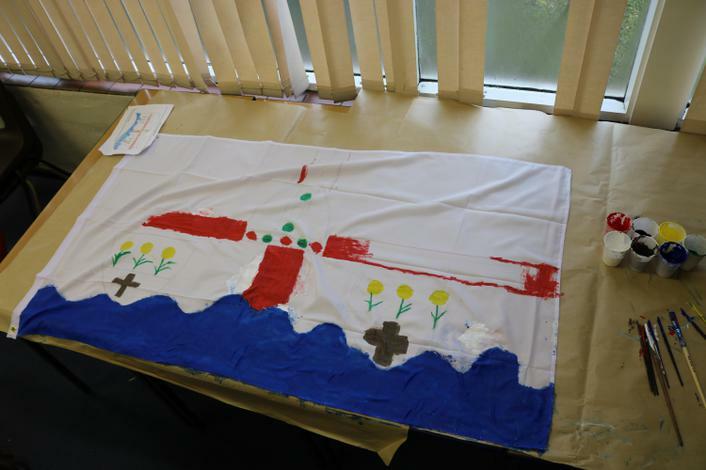 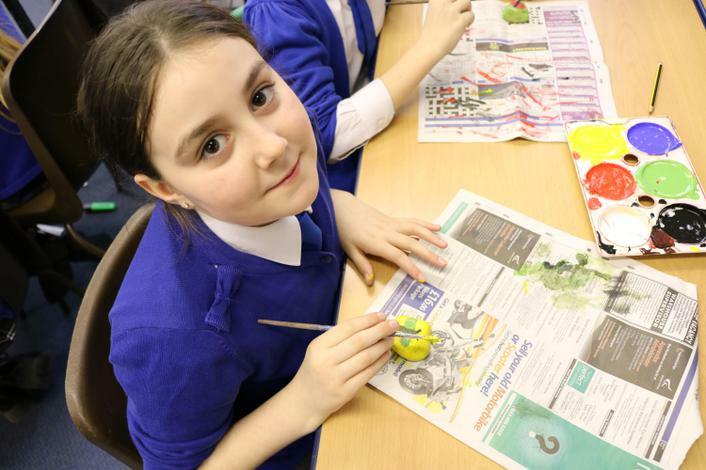 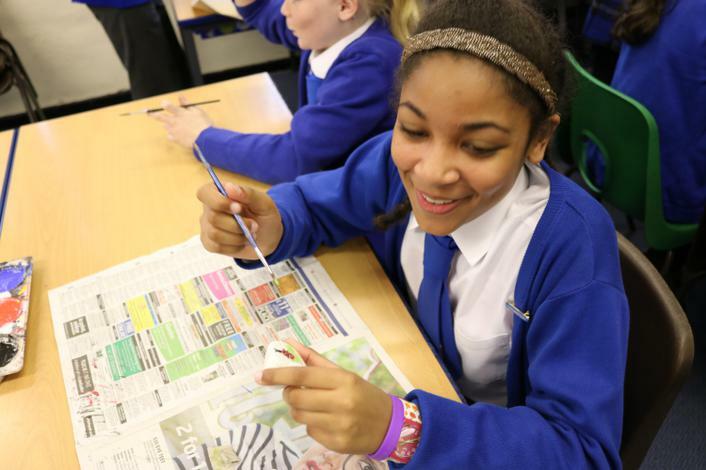 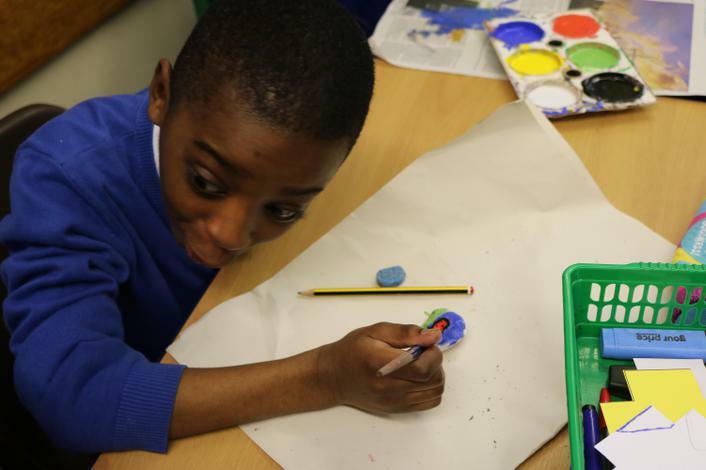 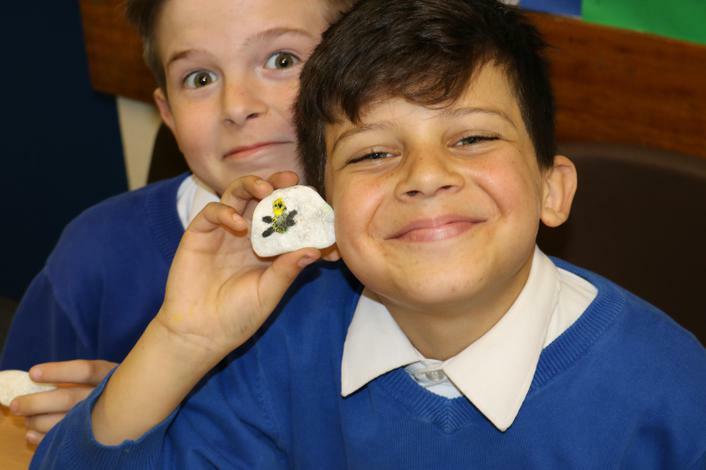 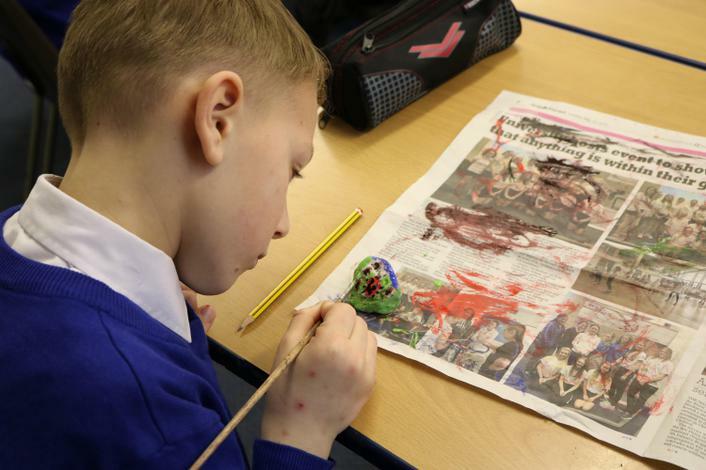 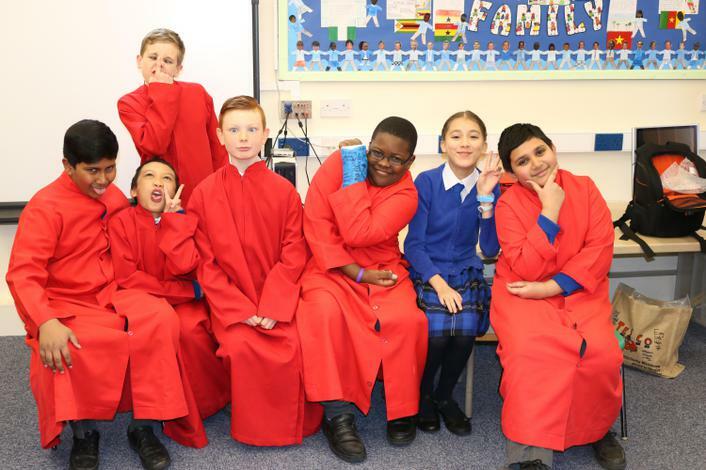 They had fun decorating pebbles, creating Bishop’s hats, composing poems and prayers, making crosses and wind chimes, decorating biscuits, painting flags and they even enjoyed doughnuts and juice. 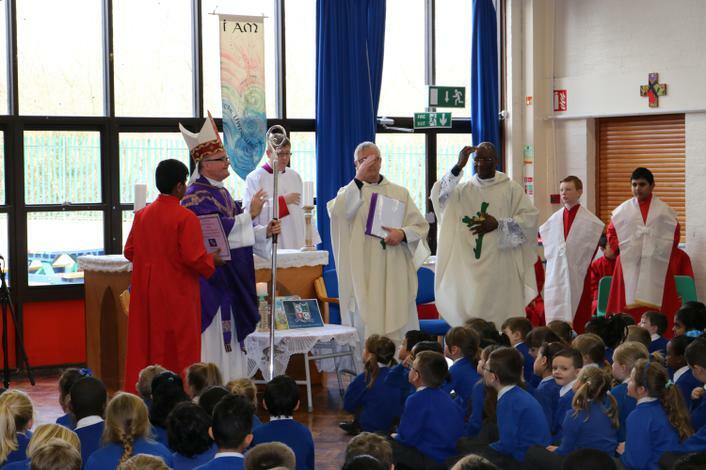 A wonderful day which has created some lovely memories for all.